Director Karina Epperlein and two of film’s protagonists Brandyn Costa and Darius Simpson in attendance! What is it like to grow up as a Black male in America today? 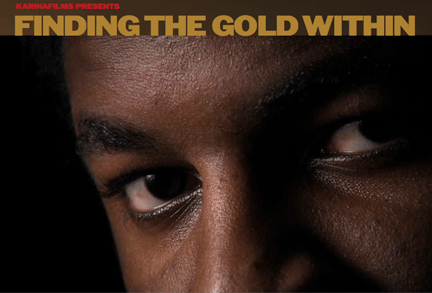 Finding the Gold Within provides a rare, intimate look into the lives of six young Black men from Akron, Ohio, each of whom is determined to disprove society’s stereotypes and low expectations. The film follows the six for 3 1/2 years as they make the challenging transition from high school through their first years of college. Along the way, they are faced with a variety of unexpected difficulties, from personal and family problems to overt racism. Each draws strength from a groundbreaking mentoring program for adolescents, Alchemy, Inc., which has been their second “family” since sixth grade. In the embracing circle of Alchemy they speak with disarming honesty about their inner lives, trials and triumphs. Alchemy and its leaders have worked in the Akron and Cleveland area since 2003 mentoring urban youth. This innovative program uses ancient stories and myths, drumming and journaling to help develop self-knowledge, confidence, discipline and a determination to succeed – enabling young people to become the heroes within their own stories. 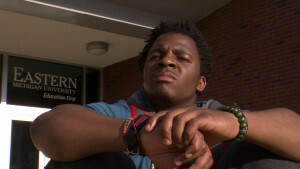 In the film, we witness the struggles, composure and growth of the six young men. Each is on his own path, and each is tested. Can he break free of society’s stereotypes of African-American men? Can he find the gold within? Despite hardships and disadvantages, the willingness of the six protagonists to be fully awake, to create new cultural identities, individually and collectively, is both revealing and inspirational. By letting these young men speak for themselves, Finding the Gold Within provides an insightful contribution to the national dialogue about race and racism. Directed by Karina Epperlein, 92min., 2014, U.S.A.
Finding the Gold Within – a film by Karina Epperlein – 2014 Trailer from Karinafilms on Vimeo.